It appears Valve are truly getting more serious about Virtual Reality as they appear to be making their own headset. On top of that, apparently a new Half-Life VR game is coming. The uploadvr website has claimed they have had it confirmed by various sources that it is in fact real. As someone who really wants to try VR, I am hopeful Valve will be able to give it a decent price. The current price for most VR hardware is simply out of reach for a lot of people, myself included. Even more interesting, is that Valve are apparently working on a new Half-Life which will be a VR title. That certainly could be one way to push adoption, I imagine that would turn a few heads that otherwise wouldn't have been interested. Could backfire too of course, if it's VR-only. To keep expectations in check though, reportedly it's a Half-Life 2 prequel and not Half-Life 3. Considering Microsoft is making moves buying up more studios and making another attempt to fix up the Windows Store, along with some bigger players leaving Steam like Activision, EA, Bethesda with the new Fallout and all this together should make Valve at least a bit worried. Their current growth will only last so long, if others continue to leave and become exclusive to other stores. Valve obviously need to make moves of their own and it looks like doubling down on VR is what they had in mind. The amount of people that currently own a VR headset as reported on the Steam Hardware Survey is still extremely low (lower than the Linux share) so Valve really will need a decent price on it. It does make you think about Valve's future plans. They're doing this new VR hardware, some new games and pushing Steam Play to get more games on Linux. Would it be too far-fetched to consider a new Steam Machine? One continued to be powered by their SteamOS Linux distribution that allows VR support out of the box along with a huge back catalogue of previously Windows-only games. That's a pipe dream of mine though really and I'm basically thinking out loud at this point, as I'm sure it's just different teams working on their own thing. However, if it did all come together, that could be amazing. For each Half-Life 2 prequel game purchased on Linux, a valve VR headset is offered. I'm still baffled how many people think that HL3 would be a VR game. That makes no sense and would be a very very dumb idea. Half Life will be 20 on Nov 19! Unthinkabel(?) Valve does not come up with something on this day. but a press release containing this prequel VR title + upcoming HMD seems plausible to me. As long as the money tap doesnt get turned off to codeweavers and dxvk guy. Good for the guys interested in vr am not one of them but good for those that are. kuhpunkt I'm still baffled how many people think that HL3 would be a VR game. That makes no sense and would be a very very dumb idea. No, it's a decades old practice called "system seller". Bundle the new HMD with other hardware like controllers, steam link, a steam box with the most prominent games store and you will be able to build your own eco system. Might not be the most possible way to work out in this case, but it's certainly not unheard of. VR was basically DOA, and until we get proper peripherals for it instead of roomscale and motion controller trash, it will remain DOA. Why the heck print the Logo on the PCB of a pre-series device? To me that seems to be quite negligent. The project code name and the hw revision should be well enough as only the project team and suppliers need to know. 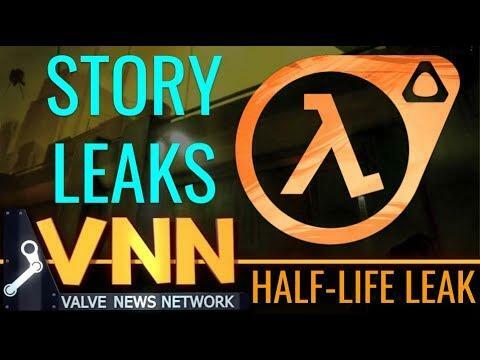 Half-Life 2 prequel is Half-Life 1, so HL1 for VR confirmed. Probably as Artifact DLC. Well, VR is demanding in terms of GPU power. And GPU's prices are actually insane. So, i do not know if this is the best moment. Cestarian VR was basically DOA, and until we get proper peripherals for it instead of roomscale and motion controller trash, it will remain DOA. A tech gadget for those with enough money. And space, maybe space is even more important for those games with actual motion controls. Every time a new VR gadget comes out, the "big future" of VR is announced, and yet, it just doesn't spread. I don't know how many more attempts it will take until even the most diehard fans realize VR is not "the future". There are just too many games that would never work with VR (or gain absolutely no benefit from it), so that there's just no good reason to reach that deep into one's pockets. Not even beginning to talk about all the other downsides (discomfort, clunkiness, etc.). It will have its niche, and that niche might even grow a bit (certainly enough to house a few VR-exclusive devs), but that's about it.